Muslin wraps are my go-to baby shower gift. They can be used for everything from swaddling to a burp cloth or pram cover for those unexpected naps. I once even turned one into a skirt when my daughter had a wee accident in the middle of our weekly shop. You can never have enough and with a wide variety of colours and patterns, the options are endless. We have found a collection of gorgeous wraps that are a must see for those of you with an eye for design. Textile designer Emma Brooke has created a stunning range of muslin swaddle blankets that will melt your heart and may even give you baby fever. The Emma Brooke Design swaddle blankets are large, light and versatile with a very modern look. Ticking all the boxes these wraps not only look great, they are also made with an organic muslin fabric. The soft and breathable fabric means they will maintain their temperature, allowing your little babe to sleep comfortably and are suitable for both hot and cold climates. The collection of six swaddle blankets each have their own unique look with designs that are fresh and modern. 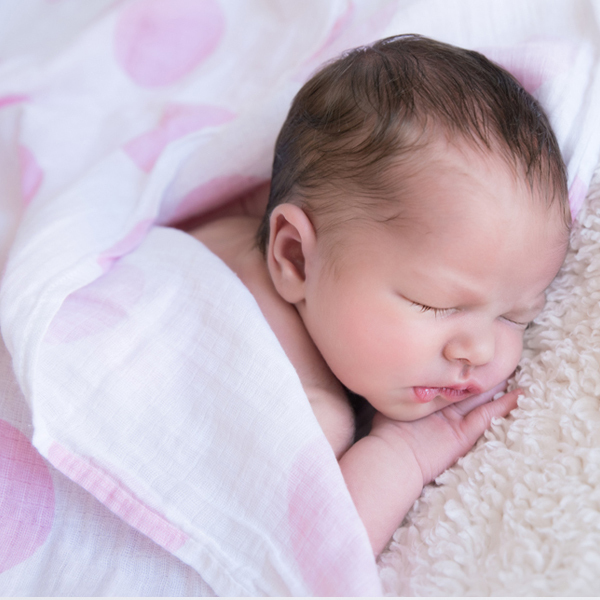 The multi-purpose blanket can be used past your baby swaddling days, as a breastfeeding cover, pram blanket, floor mat, top sheet or even a burp cloth. I’m having trouble deciding which of these brilliant creations are my favourite. The range of swaddle blankets come in a variety of designs, each delightful in their own way, just like the Le Paint Grey swaddle which makes for a great baby gift with its versatile unisex pattern. If you know a sweet baby girl then the Dotty swaddle is a perfect fit. Filled with soft pink dots that will have her tickled pink. Priced at $33 the Emma Brook Design, swaddle blankets are packaged in boxes with a design to match your choice of swaddle blanket.